30 May 2017 – Racism filled schooling for Keri Opai but there was discrimination against anyone who was different, including those with autism. Today he has come up with a Māori word for ‘autism’. He explains the interpretation and the journey taken in creating it. Ko Taranaki te tupuna maunga, Parininihi ki Waitōtara, Waitōtara ki Taipakē. WHAT IS THE Māori word for ‘autism’? As of yet, no. But I’d like to hope that I’ve come up with an appropriate interpretation for a glossary I’m producing for Māori language use in the Mental Health, Addiction and Disability sectors that will be launched at Matariki/Puanga time (the Māori New Year) this month (June). The word I have coined in te reo Māori for autism is ‘Takiwātanga’. It is a derivation of my phrase for autism: “tōku/tōna anō takiwā” – “my/his/her own time and space”. I am sure many people have harrowing war stories about difficult times at school. All throughout my schooling from a little boy, racism was a constant, pervasive aspect of student life but going hand in hand with the racism was the umbrella discrimination against anyone that was different. Different from the Pākehā, privileged, multigenerational farming families. That included a group of secondary school students cruelly jeered at and demeaned who had any disability. From kids having cerebral palsy to being in a wheelchair to stuttering, these underprivileged were ostracised, criticised and berated at any given time. They were cast aside and sometimes beaten up for no real rhyme or reason except to make the bullies feel better about themselves and their own inadequacies. Feeling some sort of connection with other young people who were different and shunned, I would sometimes play games and socialise with members of the group. I especially liked a guy called Peter who happened to have autism. He was funny and musically talented and we got on well. Unfortunately, most of the rest of the school didn’t feel the same way and poor Peter was bullied no end. If I saw it going on I would stand in the way and tell the bullies they had to come through me first. Of course, they never would take me up on the offer because they were cowards and afraid of getting a hiding. This was my introduction to autism and the misunderstanding surrounding it. So, when I took on the privilege and burden of creating a Māori word and concept to describe it, my first thought was that I wanted to honour my life-long friend, Peter. Keri Opai, right with Peter. Peter is still a good friend of mine and other than honouring him, and the struggle that people with autism like him can go through, I needed to talk with others who had knowledge and experience that could help me with a Māori interpretation. I talked with a couple of clinicians but their perspective was always, not unsurprisingly, clinical. Lots of jargon and terminology that was always rather removed and sterile and polysyllabic words that would threaten to squash an elephant with their weight. I talked with John Vogenthaler, the resident expert at my organisation Te Pou o te Whakaaro Nui, which was really helpful and he put me in touch with Matt Frost, a really neat person with autism who was also a researcher and policy analyst. We arranged to meet at Matt’s favourite café and we spent a good couple of hours just chatting and sometimes talking specifically about how he experienced his autism. Sitting there and talking for hours it reminded me very much of when I would spend time with kaumātua (Māori elders) and their style of teaching/informing/sharing. The conversation would meander and sometimes become tangential but if you leaned in, really listened, got into the same timing and rhythm, there were pearls of profound wisdom aplenty. This is what I based my interpretation on; that people with autism tend to have their own timing, spacing, pacing and life-rhythm. I recalled times with my mate Peter doing things like going to the movies where he would laugh loudly at some parts that weren’t intentionally humorous and my time with Matt and other people with autism I’ve known in my lifetime and this seemed to be the best way to describe the experience. As well, it seemed quite a positive way of explaining it and that is very important to me and essential for the Te Reo Hāpai resource in creating clear, correct and appropriate Māori language for now and the future. Hence, ‘Takiwātanga’. I hope my interpretation pays adequate respect to caregivers and people, friends and whānau with autism. 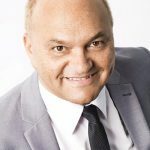 Keri Opai is Paeārahi – Māori strategic lead at Te Pou o te Whakaaro Nui where he guides responsiveness to, and engagement with, Māori people, organisations and iwi. His experience is predominately in education and he has taught te reo Māori and tikanga Māori since he was a teenager. He is a licensed interpreter and has a Master’s Degree in Mātauranga Māori (Māori Knowledge). This article first appeared in the Altogether Autism Journal issue 2, 2017.